We just think this Gingerbread Man advent calendar is just the sweetest! 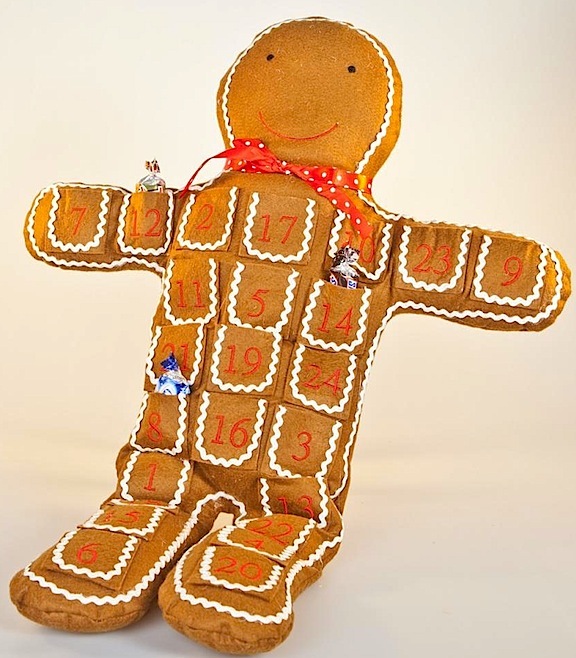 This Gingerbread Man advent calendar is made by Gisela Graham and measures approx. (h) 62 x (w) 43.5 x (d) 7.5cm and comes with a ribbon hanger. This one is sure to be a “keepsake” that can be brought out year-after-year. Just think what a delight it will be to have this cutie as your famiy’s advent calendar this year. Visit here for more details.